In June of this year I asked the question as to whether the ‘youthquake’ that shook the Westminster landscape following the British election would happen here in New Zealand? Following that election result, Bernie Sanders’s presidential campaign and, the ‘Jacinda-mania’ witnessed in New Zealand since early August there have been plenty of reasons to expect that young people will respond when there is something or someone that gets them engaged. This election year there has been a concentrated effort from a number of different sectors to engage young people in New Zealand. 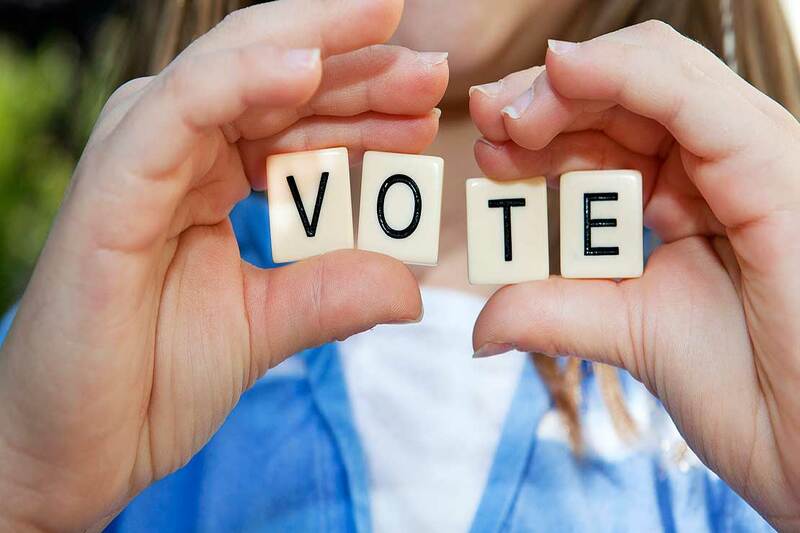 The Electoral Commission has made a concerted effort to engage with them using young champions through social media, videos and websites to help get the message across about the importance of voting and enrolling. Putting advance voting booths in universities and shopping malls is also helping to remove the excuse that it was too hard to get to a polling booth on election day. ‘We Have Power’ is a campaign that has bought 15 tertiary campuses together with the lofty goal of getting every student to vote. At Massey University the Design+Democracy Project for the past six years has been helping to address the declining number of young voters through design with tangible results. Our aim has been to be the first step in transforming young voters into more informed, confident participants in the democratic process. Design+Democracy’s On the Fence 2017 is a gameful online questionnaire that asks users a series of political questions and then compares their responses with the political parties’ responses to give their closest match. On the Fence’s primary function is to spark an interest in politics, to enable young people to know where parties stand on particular issues they think important. On the campaign trail young people want to see politicians speaking about real issues, not sound bites, they want political parties to offer up meaningful programmes of change that resonate with them. The political candidate doesn’t need to be young - Bernie Sanders and Jeremy Corbyn are both older white men. Rather they want authenticity and substance, which is why campaigns targeted at youth votes can also fall on deaf ears as witnessed by Dotcom’s and the Mana parties $4m spend up. During August the Electoral Commission reported a surge in young people enrolling to vote with 16,694 young people in the 18-29 age bracket signing up. During this time there was not a dull moment on the political landscape with Jacinda Adern becoming Labour’s leader, James Shaw becoming the sole leader of the Green Party following Metiria Turei’s resignation, and Peter Dunne throwing his bow ties out of the cot. Through these ups and downs there was no doubt young voters started to get engaged and ‘Jacinda-mania’ was coined. Could we expect a “youthquake”? Jacinda’s “relentless positivity” has resonated with young people, as have values-based ideologically driven speeches, and the Greens looking shaky. The millennials have pricked up their ears. Sensing this wind of change parties have started addressing key issues that are important to them such as student fees, taxing property investment, affordable housing, and tackling social issues such as poverty. In this year’s election there has been a palpable and concerted effort to get young people to vote and long may this continue. The question is, is it enough to not only get them enrolled, but taking the next vital step of forming queues at the ballot box and voting before close of play on September 23. There is no doubt an increased youth turnout could make a significant impact on this year’s result, with under 30s having the potential to become the biggest voting bloc in the country. This has not been lost on the political parties. On all sides of the spectrum they are keen to tap into the potential the missing young voters might offer. The 2017 campaign has seen social media becoming a key platform. Bill English has shared Facebook chats with his children, and told Jacinda he knows about millennials “because he raised them”. National Party campaign manager Steven Joyce has said using social media is one of their key tools to attract young voters, “even if it meant the party was sometimes given a hard time for it”. Jacinda Adern has been a school ground, university campus frequent visitor and has announced almost all her party’s major policies there. All parties are out there trying to talk their language. With the political turmoil calming, and the polls saying its close and just over a week until the election, how is the perceived ray of hope of a “youthquake” looking? As of last week nearly a quarter of a million younger voters were not yet enrolled. Nearly 20,000 fewer young people under 30 have registered compared with 2014. Of course anyone who runs major organised events will tell you millennials like to keep their options open to the last minute and rock up on the day. If they leave it till election day they will be thwarted, however. They can only enrol and vote up until the day before election day. The challenge for the party leaders is to continue to expand their connection with the under 30s over the coming days. Whatever happens this election, the long-term strategy to engage, inform and get young people voting needs to continue.